I know Noro looks male (gender isn't actually confirmed), but I made it a female set for the ponytail. Interestingly, on the limited set of Tokyo Ghoul cards that Ishida-sensei drew characters for, Noro was actually the Queen of Spades (the other three Queens were Eto, Rize, and Akira, all girls). 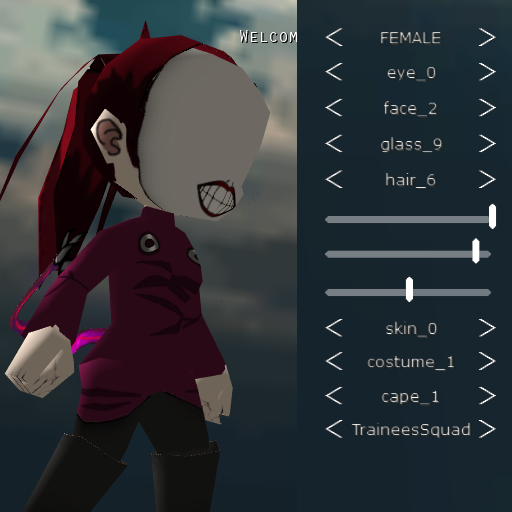 Is it cool if I edit the costume for my Kanae skin? Awesome skin! Thought Noro was a guy but that's cool. He is, but I made it a female set for the hair. When I made this it wasn't confirmed though.